Today's Mini of the Week is another great addition from a member of the 'Eavy Metal team, this time from Aidan Daly. For me it's the simplicity of this model that really makes it. A few members of the 'Eavy Metal team are known to do single, generic models like this as their personal projects. I really like seeing what they are able to do with just the standard parts from the box set. 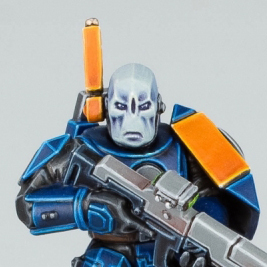 This Tau looks like he means business, and that he's seen some things that are a little to hard to talk about. I really like the overall cold color scheme used on the mini, offset by the bright orange. All of the colors are so saturated colors, they are almost comic booky. 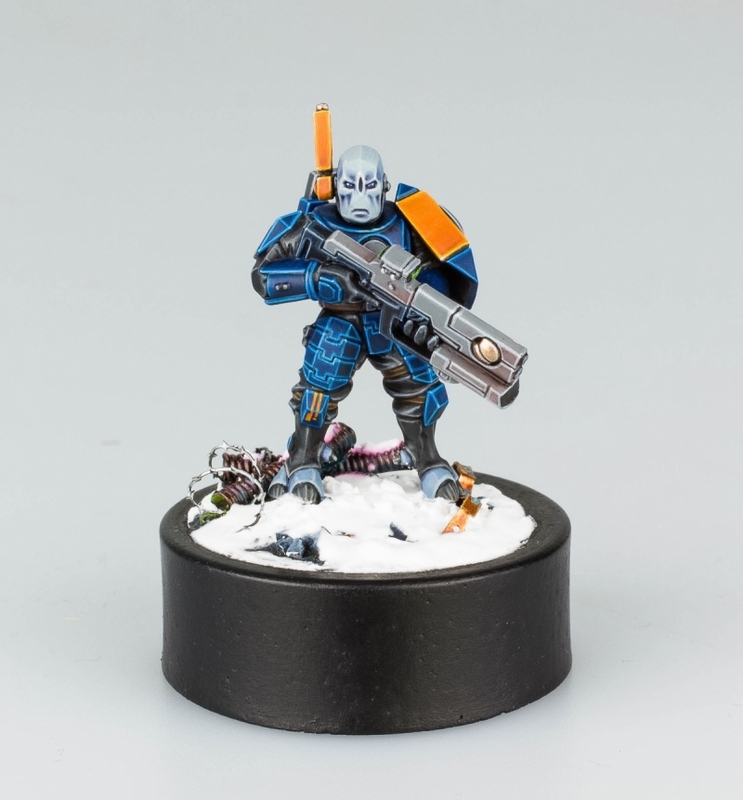 Even his skin seems colder than normal for a Tau. He looks a little more pallid and pale, as if he'd been fighting in that snowy war zone for an extended period of time. The choice of grey shaded with a reddish brown for the gun is really interesting and I think compliments the rest of the model well. All of the painting is just as precise and smooth as you would expect from a studio painter. I really do love these little vignettes of the everyman (or everytau) warriors that they tend to do. Aidan also has a really nicely done standard Tactical Marine and Darren Latham has done a very nice Skitarii.